The recent release of A Wrinkle in Time film, directed by Ava Duvernay, has brought renewed interest in the 1963 Newbery Award winning novel for middle grade readers. A Wrinkle in Time is a favorite for many children and adults, yet most readers do not know about the life of the author, Madeleine L'Engle. Charlotte Jones Voiklis and Lena Roy, granddaughters of L'Engle, pay tribute to their grandmother in the new biography, Becoming Madeleine. 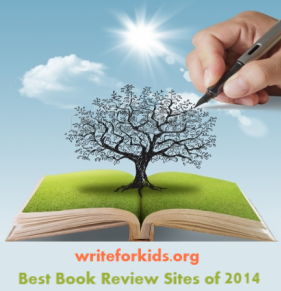 The book is organized chronologically beginning with Madeleine's childhood. The authors provides a glimpse into the life of the talented and complex L'Engle, the only child of Charles and Madeleine "Mado" Camp. Photographs, letters, journals entries, report cards, and poems are interspersed with the text to paint a vivid picture of a young girl who dreamed of becoming a writer. At times, the book is heart-wrenching. After moving from New York City to France, Madeleine is sent away to a boarding school in Montreux, Switzerland, where she is viewed as an outcast by classmates and is treated harshly teachers. 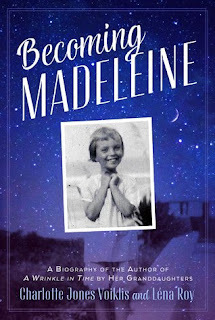 After several years abroad, Madeleine and her parents leave Europe to be near her grandmother in Jacksonville, Florida. Madeleine thrives at Ashley Hall, a private girls' high school in Florida, where she writes and acts. An only child, L'Engle was close with both of her parents. Her father was a professional writer and served as inspiration for L'Engle later in her life. Middle grade readers will be amazed by the determination and persistence of L'Engle as she tried to publish A Wrinkle in Time. Even though she had previously published several novels, no publishing houses were willing to take a risk on a science fiction book for children featuring a female protagonist. Once Farrar Straus Giroux took a chance and bought the rights, history was made. Pick up a copy of Becoming Madeleine to give to aspiring writers and fans of A Wrinkle in Time.